During the early 1900′s Nikola Tesla was experimenting with all things electric including Radio Frequency. While researching radio waves he noted that several assistants were reporting that exposure to high frequency was healing their infections, wounds, and other ailments. Tesla was intrigued by such a thought, and brought the concept to several other scientists of his time for further research. Using argon gas filled tubes to transmit the frequency, Violet Ray Wands were invented, as well as Diathermy Machines. The concept that unhealthy cells could be brought back to health using frequency was born, and the science continues on to this day taking us all the way to String Theory. Could it be that all the atoms of the entire universe are made of little loops of frequency, and health is maintained by keeping our cells in tune like a fine musical instrument? Does disease occur when our cells go out of tune? Is God a musician, and all of life a song? How would I know? 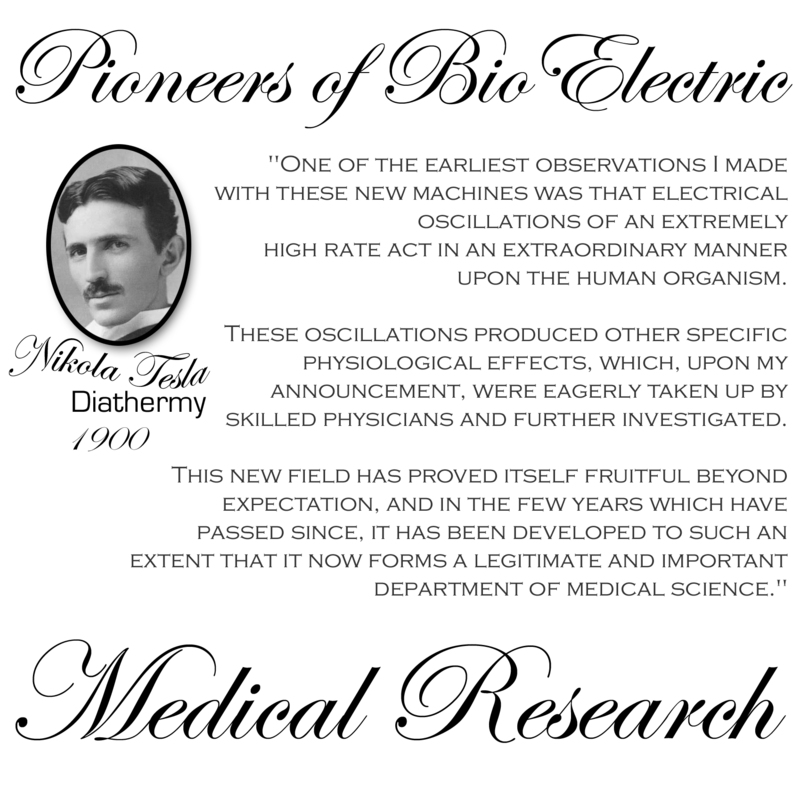 But I’ll tell ya, scientists like: Georges Lakhovsky , Royal Raymond Rife , Albert Abrams, Wilhelm Reich , Bob Beck, and Hulda Clark all owe Nikola Tesla their beginnings. Then again, what scientist today doesn’t? Tesla was the most creative of all the modern scientists, and was a living super genius that deserves more study. This entry was posted in Secrets of the Universe and tagged albert abrams, bob beck, cancer research, cures, georges lakhovsky, hulda clark, hulda clark zapper, nikola tesla, royal raymond rife, wilhelm reich. Bookmark the permalink.